One of my sewing goals this year is to make my first dress. 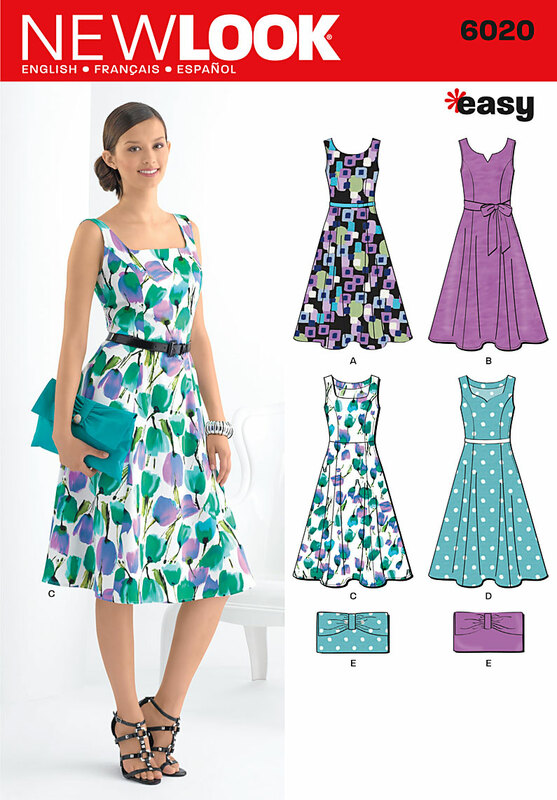 New Look 6020 appeals to me with its princess seams, and flared skirt. I bought 3 yards of this cotton fabric two years ago without a pattern in mind. I now know the fabric is called quilting cotton. At the time I didn’t know the difference between apparel fabric and cotton used for quilting, but since then I’ve read some lively discussions about the suitability of using quilting cotton for clothes. I’ll see what I think when I wear it! The pattern has a lot of seams, but the floral print should look just fine being broken up. Besides the princess seams, side seams and waist seam, the skirt has 3 panels on each side. One thing that surprised me about this pattern is the placement of the zipper. It looks like a lapped zipper in the side starting a few inches below the underarm. I’ve never worn a garment with a side zip, and I intend on changing it to an invisible back zip. I did a search on changing a side zipper to a back zipper and found this interesting post by Vicki Kate Makes : Side or Back Zippers – Which Do You Prefer? I don’t like the idea of a zipper that doesn’t completely separate. I’m raising the neckline and bringing in the wide shoulders and I don’t want to struggle to put it on over my head. 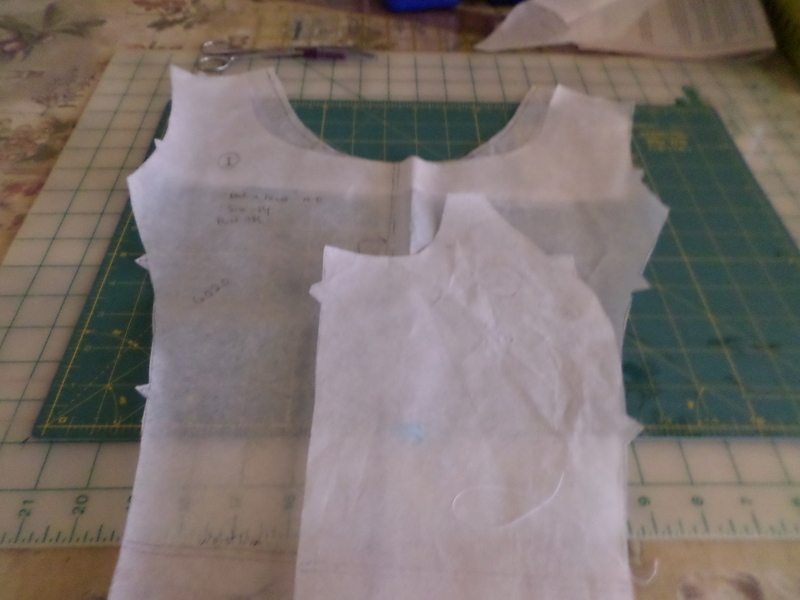 So I’ll have to change the facings, and cut the back in 2 pieces with a seam allowance added. The pattern has a seam allowance of 3/8 for the princess seams. The two methods I’ve used to finish side seams are clean finish (turn and sew), and mock french seams but that might not lie flat with a princess seam. I’m wondering if I should line the bodice to keep the messy (slit and notched) unfinished seam from showing and to protect it from wear and tear. When you first look at the pieces of a princess seam, it looks like two puzzle pieces that don’t fit together! 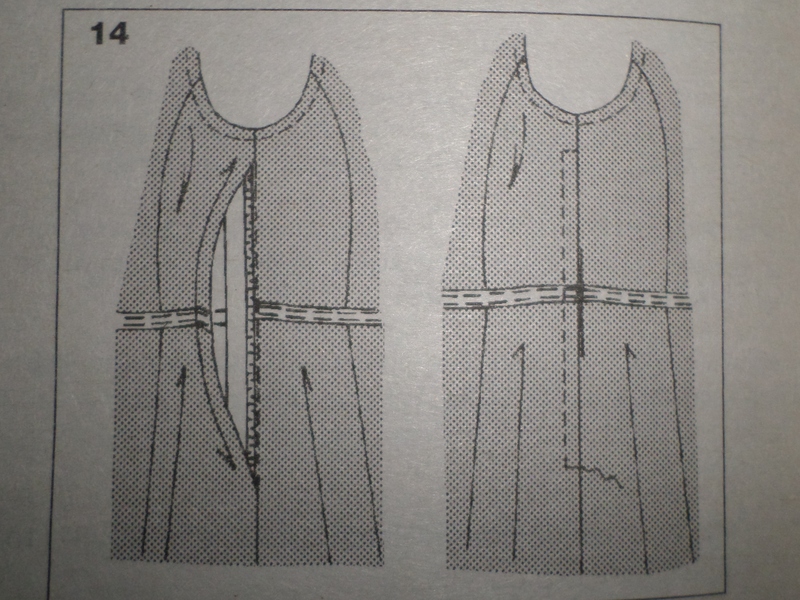 I’m reading how to sew these odd curved seams, and I’m sure I have some fitting challenges ahead of me as well. My “muslin” will be made from a worn sheet. What do you look for when you first take a pattern out of the envelope? Any suggestions or tips for me? This entry was posted in Sewing and tagged beginning sewing, changing zipper placement, dress pattern, new look 6020, princess seams, quilting cotton, underarm zipper on June 27, 2013 by Stitch It Again. 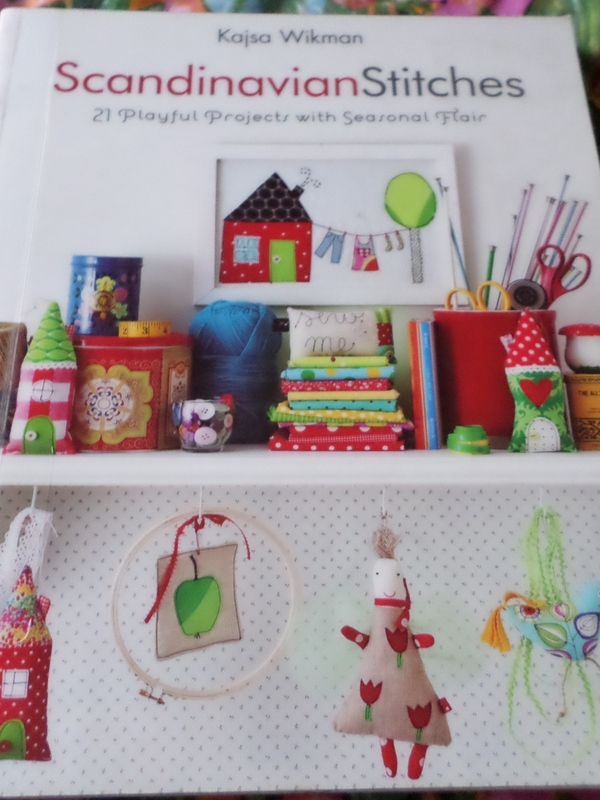 I have read and enjoyed the blog written by Kajsa Wikman of Finland , so when I saw her book “Scandinavian Stitches” in the library I checked it out. It features cheerful little projects with with a whimsical appeal. I love two of the motifs she uses in her books: leaves and apples. 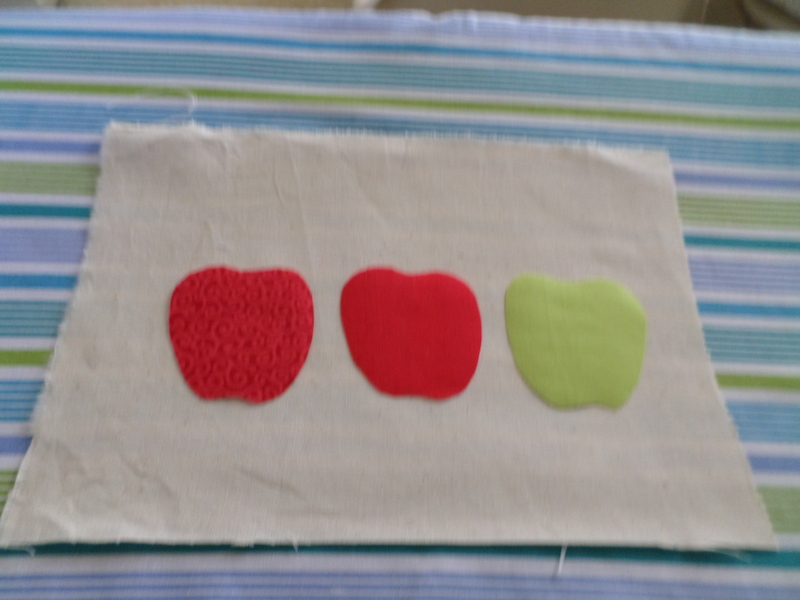 Inspired by her “Sweet and Sour Apple Coasters”, I looked through my fabric for bits of red and green material. Kajsa’s method of applique uses paper backed fusible web, and machine stitching an outline on the shape in a straight line with black thread. I’ve done traditional applique with turned edges which is hand sewn with invisible, tiny stitches. The end result is beautiful but it is slow going. I’ve also seen applique machine stitched on the raw edges with a close zig-zag stitch. 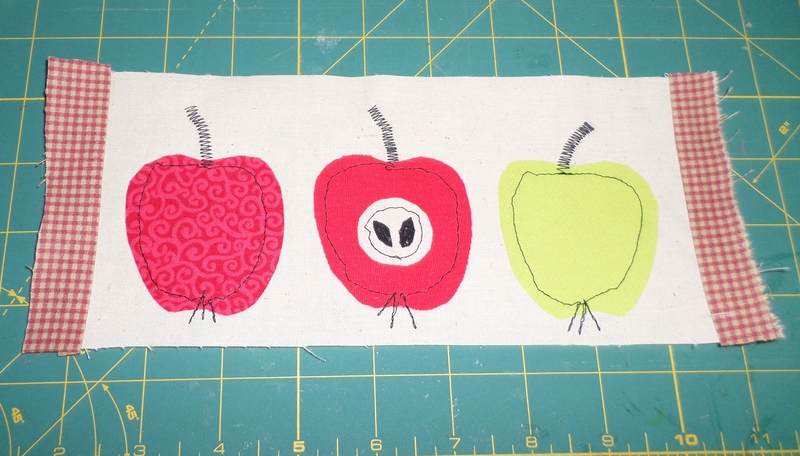 I like handwork but I decided to try Kajsa’s method and use my machine to make a folk art look to my apples. Paper backed fusible web is easy to use. I used a brand called Heat N Bond Lite. First you press the fusible web with the paper side up on the wrong side of the fabric. You draw your applique pieces backwards and cut them out on the lines since the edges won’t be turned under. Then you peel off the paper, place them on your background fabric, and press to fuse. You press down with a dry iron in one place for 6 seconds similar to bonding an iron-on patch. I wanted to make a mug rug and two coasters. As most everybody knows, a mug rug is shaped like a rectangle and it large enough to hold a cup and a snack. For the coasters I used the sew and turn right side out method as shown in the book; for the mug rug I preferred to use binding. The apples look plain and uninteresting without any stitching. I notice that fused applique looks flatter and less three dimensional than turned applique. Looking better! I’ve only sewed straight lines before so it was hard for me to stitch the circle shapes, but the object was not to be perfect so I left my shaky lines. The stems are machine sewn with a wide, close zig-zag. 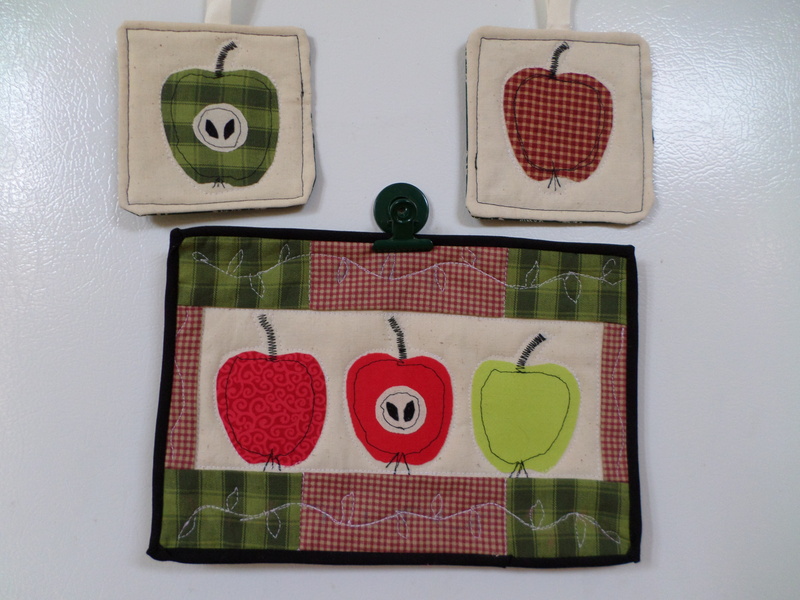 I used the same fabric for both the strips in my mug rug and the apples in the coasters. Then I gathered my backing fabric and my batting. I used cotton batting for the coasters and Thermolam Plus, a polyester, for the mug rug. 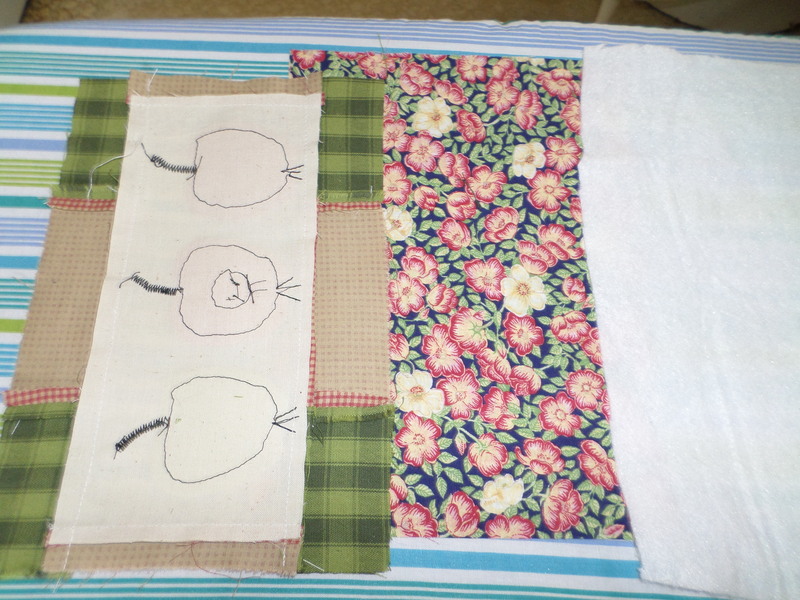 After quilting the outlines, I wasn’t sure what additional quilting to make. I was using a regular foot and not a quilting foot and I don’t think my vine lines with leaves came out too well, but decided to leave them. I used bias tape for the binding because I didn’t have any black fabric on hand. I inserted twill tape for hanging before stitching the sides of the coasters. My apples are more rustic Americana apples than Scandinavian. Thanks to Kajsa for a fun project. I think I will make her Tomte (elves with a long red cap) when it gets closer to Christmas. This entry was posted in Books, Sewing and tagged applique, fusible web applique, Kajsa Wikman, mug rug, Scandinavian Stitches, Sweet and Sour Apple Coasters on June 20, 2013 by Stitch It Again. 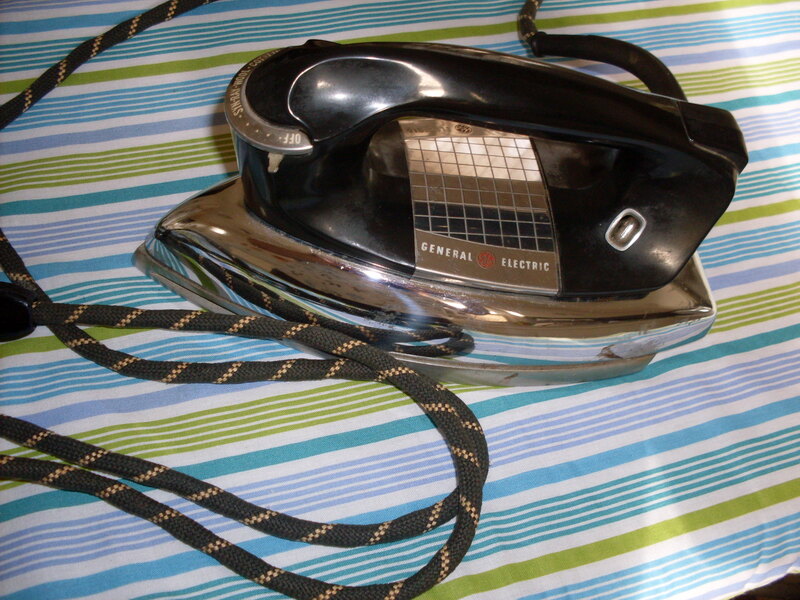 The iron I use most often is this General Electric Cat No 43F33 with a cloth covered cord. It was made in the USA in Bridgeport, Connecticut circa late 1940s or early 1950s and has been in use ever since. Its settings are SYN-RAY-WOOL-COT-LIN. My mother ironed with it on a weekly basis while I was growing up. I like its heft. In comparison, other irons feel like toys. I also have a steam iron I use as a backup. I’ve never had a reason to stop using it. 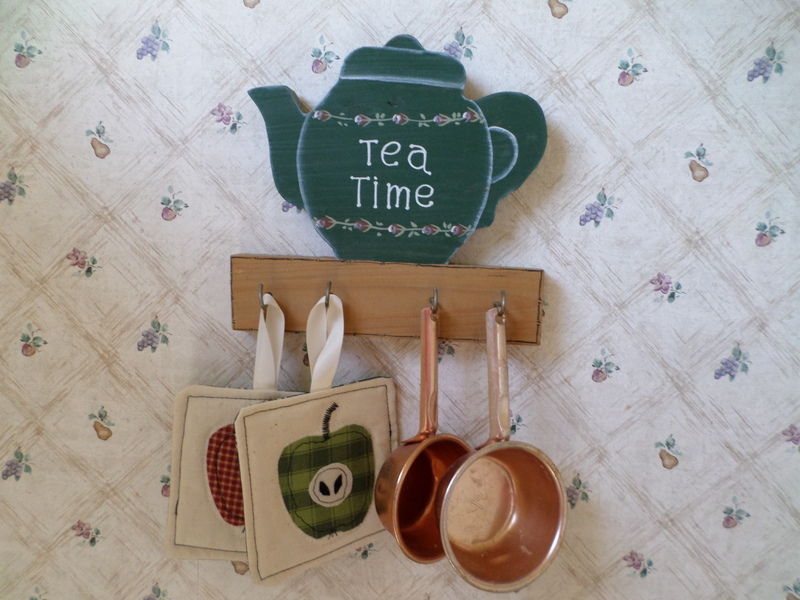 Do you have something old or passed down that you use for sewing or other household activities? This entry was posted in Looking Back and tagged cloth covered cord appliance, vintage GE iron on June 14, 2013 by Stitch It Again.